– to determine the genus (group) of explosives (powder charges). • Is this substance explosive? If it is so, what substance was used? • Is it possible to use these substances for production of explosive? If it is so, it is necessary to indicate exactly in what combination. • In what way – industrial or homemade was this explosive made? • Are there any traces of explosives on the object-carrier (it is indicated on which one)? If they are, it is indicated exactly on what explosive. • Are there any decomposition products on this object? If they are, it is indicated what explosives have decomposed for their production. • Do these explosives share (indicate comparable objects) common generic (group) affiliation? • Did the provided for the research explosives form the whole mass? • Do the provided for the research samples of shot pellet share common generic (group) affiliation according to number, method of production, chemical composition? • Do the provided small shot and piece of metal share the same chemical composition? • Do the parts of shells (short pellet, bullets, case shot, wad, laying), found at the scene have common generic (group) affiliation or the same origin with the parts of shells, seized of a particular person (according to the type and composition of material, colour, size, shape, method of production? 22.3. In cases connected with explosions, it is necessary to seize all objects or their parts with traces of soot. From the epicenter of explosion, samples of soil (during explosion on the land, remnants of plaster , concrete (during indoor explosion), details with traces of melting (during explosions in a car)and other. 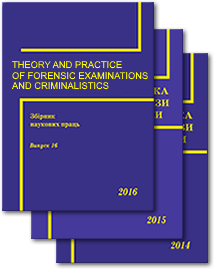 If it is necessary to supplement basic data for conduction of the research, repeated examination of the scene, interrogation and other procedural actions are to be conducted. Detected explosives with small mass are sent fully, in other cases – in samples. Each item is packed in a separate waterproof container, in accordance with the requirements of the transportation of explosives. If there is a problem, it is necessary to consult with an expert (specialist). – to reveal the case data relating to the person who produced an improvised explosive device and bring into action. • Does the seized object (define whose and where) belong to explosive devices (ammunition)? 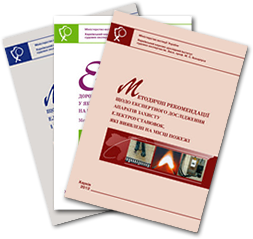 • Is the provided item suitable for the designated use – before explosion? If it isn`t, reasons are indicated. • What destructing factors are peculiar for the provided device? • Was the explosive device exploded there? If it was so, to what kind of devices does it belong? (features of its design, county of origin, etc.)? • Are the fond at the scene items (in the body of victim) parts of an explosive device? • If there are such items, to what type of devices do they belong? • How was the explosive device made? (in improvised way or industrial method)? • If the ammunition was exploded, to what type of weapon do they belong (grenades, landmines, shells, etc.)? • Do the provided to an expert materials contain data that indicates the producer`s of explosive device characteristics (professional skills, degree of awareness with the technology of production and use of explosive device)? • Does the improvised explosive device, which parts were found at the scene have the same structure with the model constructed by a person? (name, surname, patronymic name)? The explosive devices are to be discharged (to disconnect means of explosion). The implementation of this operation is conducted by the specialists of searching, discharging and destruction of explosive devices of National Research Forensic Center of Ministry of Internal Affairs or military pyrotechnics. Protocols of the inspection of the scene, protocols of corpses with all annexes to these protocols (plans, diagrams, photographs, etc. 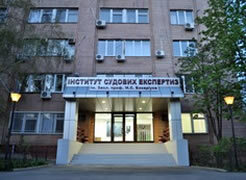 ), protocols of interrogating of witnesses, individual material evidences with objects removed at the scene, including objects removed from the victim`s corpse are sent to an expert. 21.4. Objects from the scene with traces of fresh blood don`t have to be packed in the hermetically sealed container as products of their decay can disorientate the research of the traces of ammunition.